Some stress is good. That's right—in small amounts, stress can help individuals focus attention and improve performance. But too much stress, too often, is bad news. And there's a lot of stress these days: you're working harder; your family life is busier; traffic's worse than ever. The good news is that you can control stress. In this Stanford stress prevention video, experts will teach you the causes of stress and show you proven ways to lessen its negative impacts and enhance your own personal well-being. 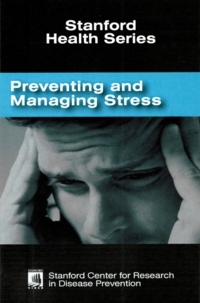 This 22-page booklet explains the symptoms of excessive stress, teaches techniques for avoiding stress and reducing physical and psychological effects.